Unlike some others, her disability was from birth, I mean congenital. She grew up feeling alone in her world because she was different from her siblings. Never wanted help from anyone so she found a way of doing everything her. I mean everything a normal child could do and more. While growing up, the top American model fashion show was what she never missed on TV, yearning to become a run way model but it never came to reality because she was never selected during auditions. Can” . 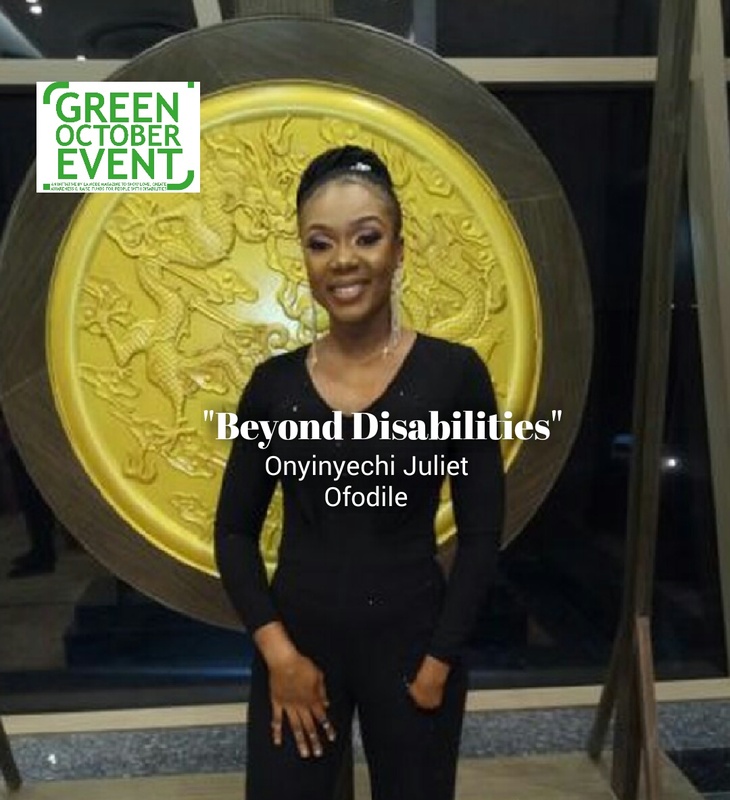 Juliet is a graduate of estate management and currently work in a development company along side her pageant training. Among the competions she participated in, she was second runner up Miss unilag, second runner up Miss brighter future, winner Miss safety NIgeria and the winner the First lady reality show. Today she is proud to say she has found the ability in her disability. 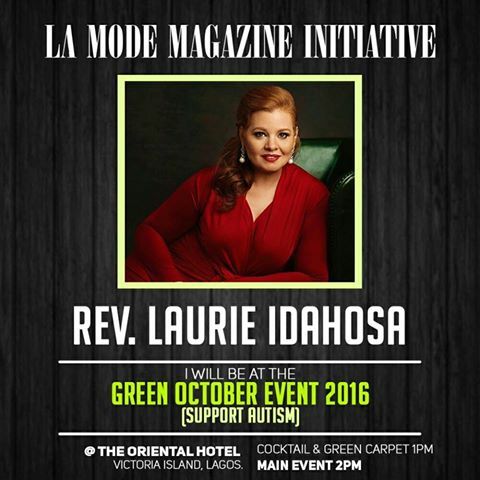 Rev.Laurie Idahosa Will Be At The La Mode Magazine Green October Event 2016 Edition!